Sylvan Dell Publishing just released their new Fall 2010 titles and I was excited to see them! I love Sylvan Dell (having mentioned them a time or two) but I was most excited to see the newest title by Janet Halfmann. You might recall that she wrote Little Blank Ant on Park Street (click on the title to read my review) which we have read just a time or two this summer. She also wrote Little Skink's Tail which is another of our favorites. I was feeling pretty confident that we'd like this new title and I was right! In this new story, we meet Sophia, a little girl who is being read a bedtime story by her mother. 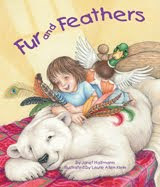 This story results in her having a dream about all of the animals losing their fur and feathers. Sophia worries for the animals and they take turns coming to her to be redressed in their original outer coverings. Cute story which points out the uniqueness of the animals in their various skin coverings. As per usual with Sylvan Dell titles, in the back of the book there is additional information about the animals. In this case, the book details a bit more what the differences are between mammals, adult insects, reptiles, birds, fish, snails and amphibians. 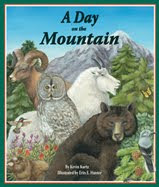 A Day on the Mountain is written by Kevin Kurtz who also wrote A Day in the Salt Marsh. If you liked Salt Marsh, the chances of you enjoying A Day on the Mountain is likely a sure bet. 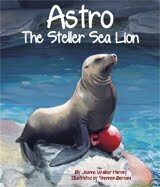 In this new title we take a trip up the mountain, learning about the various animals that live at various levels above the sea. We meet black bears, garter snakes, the yellow-bellied marmot, mountain goats and more! Illustrated by Erin E. Hunter, this book is simply beautiful and, well, it really makes you want to go on a hike up a mountain! The back of the book includes an animal matching game which, of course, provides more information about each creature. 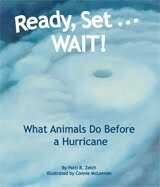 These books certainly testify to the quality of books that Sylvan Dell publishes to open up the world of animals to children. I'm going to keep harping on them, but if you haven't yet checked out their website, you really must! There are plenty of activities available for download and use by parents and teachers on their website. They are a cracker jack publishing company and I hope you'll check them out. To learn more about these and other of their titles, visit Sylvan Dell Publishing. I need to check these out!!! We love animal books at our house. Thanks for the great review, Carrie. In writing the story, it was so much fun figuring out what items from Sophia's grandma's sewing basket would work for creating each new coat. And I especially liked thinking up the special touches. Happy Reading to all! I love your reviews, we're off to the library today and I know some books that we're going to check out! we love sylvan dell books they are so bright and colorful, plus the stories are educational and fun.